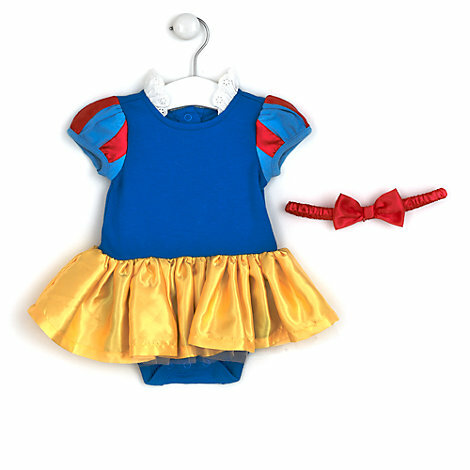 Your little one will be the cutest of them all wearing our Snow White costume bodysuit. With puff sleeves, cotton frill at the neckline and a yellow satin skirt, the look is finished with a red satin headband. 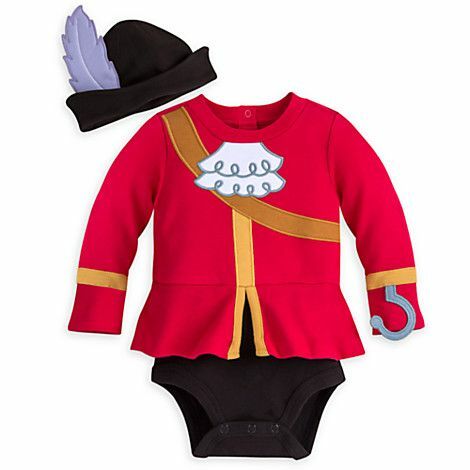 Let your little adventurer transform into Captain Hook with this adorable baby costume! The one-piece bodysuit features a layered jacket detail, with a hook to the sleeve and matching pirate hat! 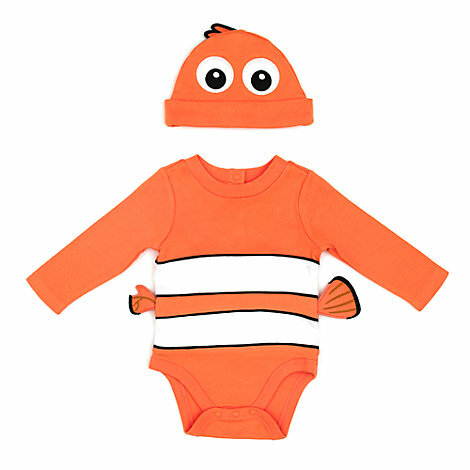 You’ll be Finding Nemo at home every time your little one wears this costume body suit! It features bright clownfish stripes and 3D fins, plus a matching hat with large appliqué eyes.